After Google Buzz and Wave, which never really took off, Google is launching its most powerful social networking project to date, Google+. At the time of this writing, you can join Google+ by invite only, but the interest is so great that many believe that Google finally got it right and Facebook has its first real rival. While the features, which Google+ offers are nothing revolutionary, the project seems to have taken the best from the other social networking sites, making it extremely easy for people to stay in touch with friends and family. It is still very early to judge if Google+ will make a dent in the Facebook’s business and take away some of their 700-million strong user base, but it is clear that the two social networks have quite a few features in common, but also differ in many aspects. 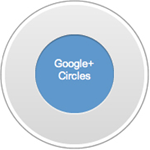 Google+ Circles – Google+ uses Circles rather than Groups and even though the two concepts are somewhat similar, Google+ allows you to build your own Circle of friends and have greater control over that circle. Unlike Facebook, where you can befriend strangers and strangers can befriend you in the “open” groups, in Circles, other users will see you as long as they are in your circle, but they will not see the other users and will not see how they have been titled. In addition, by using a drop-down menu, you can make a post on Google+ and specify which Circle can see your post. This is far more convenient than using Lists in Facebook, where you have to go through a number of screens to select what lists you share your posts with. Hangouts – This is the video chat future, which Google+ uses and which enables users to have a group video chat, send messages to each other while in video chat, and even watch YouTube videos as a group. Hangouts is more open than the Facebook’s Video Calling and allows up to ten people to join in, regardless if they belong to the same Circles or not. If you decide to start a Hangout, it will be shown as a notification to your friends and as more people join in, the feed will be updated, showing the number of people taking part in the Hangout. Facebook has announced a Video Calling feature recently, which is powered by Skype and even though it is quite simple to use and the quality of the audio and video stream is quite good, it is strictly one-on-one video chat and you need to download and install a plug-in if you want to be able to use it. Google +1 – Much like Facebook’s Likes, Google has created a +1 button, which allows users to give their stamp of approval for websites and links and share them with their friends. Unlike the Likes though, the +1s that you have are not visible to the World by default and it is up to you if you want to make them public or keep them private. The +1s go on a separate tab of your Google profile and this tab be can be heavily customized – you can delete a page, which you do not want to recommend anymore and you can turn off the +1 for non-Google sites. The +1 button is already being integrated with the search results and has an enormous potential to help improving the relativity of these results by taking the users’ recommendations into account. Google+ Data Liberation – Similar to the Facebook’s “Download Your Information” feature, the Data liberation allows users to download most of their data in a few single clicks. On Facebook, the users can download almost everything, including photos, videos, posts, messages, and other content in a single zip file, and using Google+ Data Liberation, you can download your content from your Google profile, Google+ stream, Picasa Web Albums, and Google Buzz. Google Sparks – Another feature, which can help the Google+ users stay updated on topics of their interest. It is a basic newsreader with a twist – once you add an interest, you can follow news and stories and share your sparks with other users. By default, the Sparks that you receive show only an excerpt from the story and if you want to read the full text, then all you have to do is click on their titles. 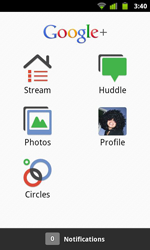 Huddle – A group-messaging feature, which many mobile users would definitely enjoy. Instead of chatting one-on-one with one of your friends, why not chat with all of them, while deciding on the movie you are about to watch or on the club you want to visit? Huddle allows you to do just that and more and even though it is not as straightforward to use as some standalone group chat apps, it has its strong points. Google+ Mobile – Right now, Google+ app is available for Android-running devices only, but a native app for iPhone is expected to be released soon. In addition, mobile users with Blackberry (6.0+), Nokia/Symbian, and Windows Mobile-running devices could access some basic features by loading https://m.google.com/app/plus/ in their mobile browsers. 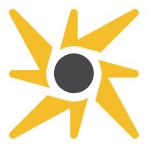 Instant Upload – Another convenient feature that allows users to upload their photos to Google+ and store them in albums, organize them, and share them with their circles if they choose to. With some privacy concerns raised by Facebook’s controversial face recognition feature, are we likely to see millions of users leaving the biggest social network and migrating to Google+? It is probably still too early to answer this question, but it seems that Google has finally taken a step in the right direction and their project is already attracting a lot of interest. The mere fact that the registration is periodically turned on and off indicates that the influx of users is far greater that they have expected. However, some have expressed the concern that the integration of Google+ with all other Google services could make it far too complex for certain users and that these users are likely to stick to the social network that they know and love – Facebook! Very nice wrap-up of Google+'s features. I'm personally a big fan of G+ because of the control it gives you over the information you publish, its design and the photo galleries that, unlike Facebook, do not decrease the quality of the images you upload.